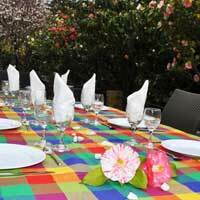 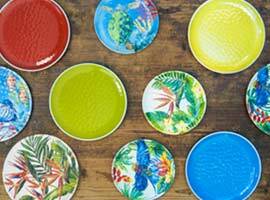 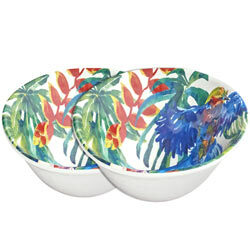 The “Tropical Birds” series comprises the bowl, the salad bowls and salad servers and small and large plates with sparkling colours and graphic modern designs that differ for each one of the products. 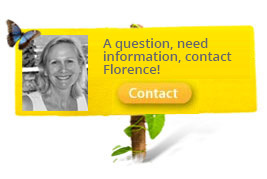 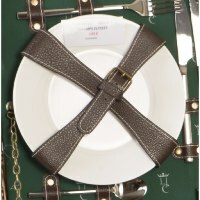 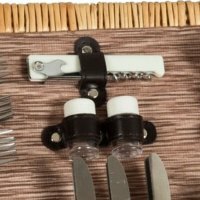 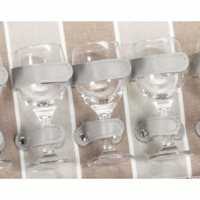 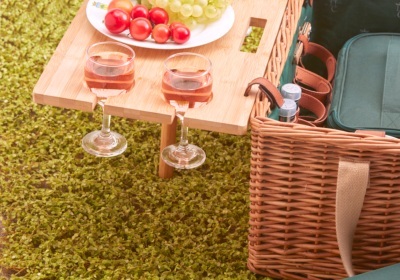 • Perfect for all your salades or any other preparation. 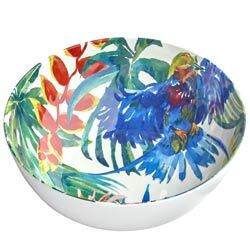 • In this cakes dish, you will able to present your most delicious bakes. 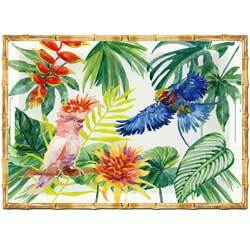 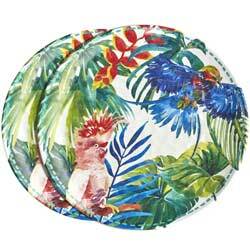 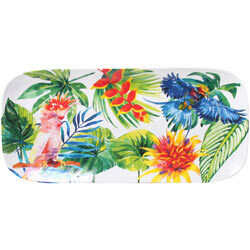 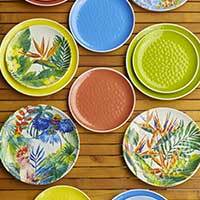 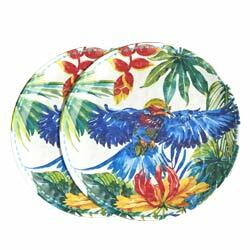 27 cm unbreakable plate in pure melamine - Tropical Birds. 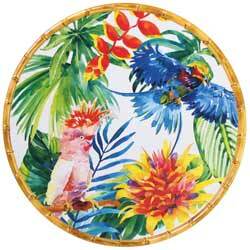 "Tropical Birds" design 23 cm small plate made of pure melamine with a hammered appearance. 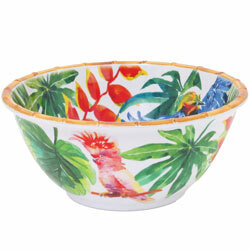 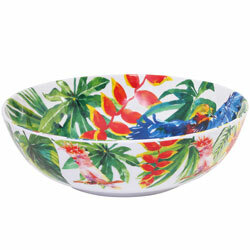 "Tropical Birds" design bowl made of pure unbreakable melamine with a hammered appearance. 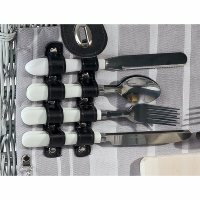 Do you need any idea for an original present ? 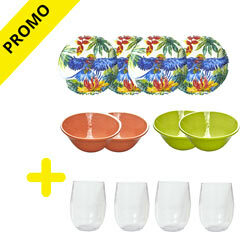 Discover the pack made up of 4 small plates from the Tropical Birds theme, 4 bowls from the United Colors theme (2 green and 2 red ones) and enjoy from 4 acrylic unbreakable glasses at -50%.